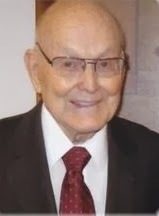 The sad news has been received of the passing of Blaine Herbert Hall of St. George, Utah. I just learned of the passing of WAL Captain, Blaine Hall,at age 93 in St George Utah. His funeral is set for Friday Oct 19 2013. Blaine Herbert Hall lived for his family. His favorite words were, "You make the grandpa's heart happy!" Blaine left this life on October 11, 2013 to join his beloved wife, Carrie, to whom he had been married for 71 years. He was born on January 30, 1921 in Alpine, Utah, and was 92 ½ years old. He lived a rich and full life and is survived by a family who loves him. His five children are Dean Hall, Allen Hall, Karren Willard, Miles Hall, and Colleen Earnshaw. He also leaves 31 grandchildren, 49 great grandchildren, and one great-great granddaughter. As a young man with only a high school degree, Blaine worked hard to receive his pilot's license. He then became a flight instructor. He and his new bride, Caroldean "Carrie" Candland, were married on August 28, 1942 in the Salt Lake LDS Temple, just a week before he began flying commercially for Western Airlines. He flew for Western for over 38 years until he was required to retire on his 60th birthday. His work took him to various locations, but they called Thousand Oaks, CA home for 32 years. For the past 19 years, he has enjoyed living in the St. George desert which he loved. Blaine lived his life serving the Lord by serving others. He had served in many different callings and was a beloved bishop in Thousand Oaks for 9 ½ years. He served as a Stake Patriarch for over 40 years and gave over 1800 blessings in his life. He also served as a Temple worker and Sealer. He and Carrie served two missions at the Mesa Arizona Temple Visitor's Center, and in the Philippines Quezon City mission. Blaine was always reaching out to those around him and was always looking for what good he could do for others. He was continually giving to everyone he knew. His heart was gold and his dedication to following Jesus Christ was stellar. His life was long and full, and he is now happily reunited with the love of his life who he has missed terribly since her passing. We know he is happy. May we never forget his great example. Funeral services will be held Friday, October 18, 2013 at 11:00 a.m. at the Little Valley LDS Stake Center, 1762 South River Road, St. George, Utah. Visitations will be held Thursday evening from 6:00 p.m. to 8:00 p.m. at Metcalf Mortuary, 288 West St. George Blvd. and on Friday, at the Stake Center, at 9:30 a.m. Interment will be held Saturday, October 19th at 2:00 p.m. at Larkin Sunset Gardens, 1950 East 10600 South, Sandy, Utah. Arrangements entrusted to the care of Metcalf Mortuary, (435) 673-4221. 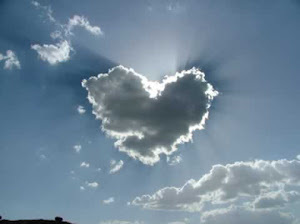 Please visit our website at www.metcalfmortuary.com for condolences, complete obituary and funeral listings.